Based on reviews from 305 experts and 12,753 users. 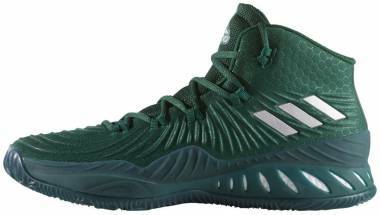 Learn how our rankings work or see our guide to green basketball shoes. Updated Apr 2019. Life was easier back then when there were only brown shoes to wear. Taken from animal hides, our ancestors treated and preserved animal skin for use in clothing and footwear that protected them from the harsh environment. After achieving the call of necessity, personal style is later infused into footwear, especially after the the introduction of pigmentation and dying methods. A few decades later, footwear made of textile opened up the possibility of owning shoes with a wider variety of hues. 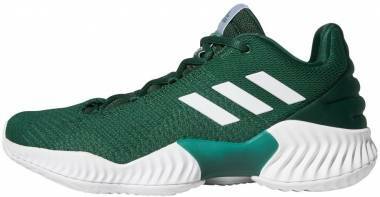 Not only known for performance but also style, shoe brands such as Adidas, Jordan, Nike, and Under Armour have splashed the NBA courts with a wide array of shoe colors. 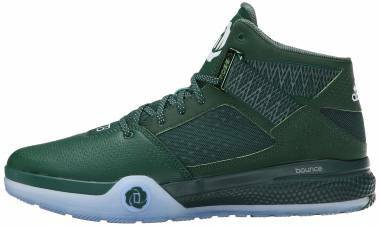 Listed in the subsections below are the top green basketball shoes from each brand. Adidas Harden Vol. 2 ‘Vision’. The Harden Vol. 2 is the second release from James Harden’s signature line. 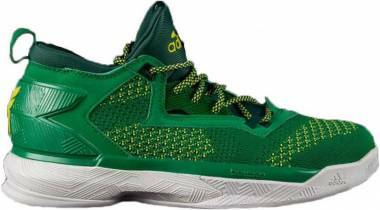 Created together with footwear designer Rashad Williams, these James Harden basketball shoes feature a data-driven traction pattern, Boost cushioning in the midsole, customizable lacing system, and a one-piece bootie construction. The Vision colorway pays tribute to the Audubon Middle School in Los Angeles where Harden first dreamed of becoming an NBA player. 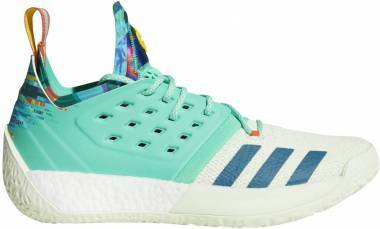 These mint green basketball shoes were released during the 2018 NBA All-Star Weekend together with two other colorways; namely, ‘California Dreamin’, a coral-and-pastel-green-outfitted upper that symbolizes Harden’s love for the city of Los Angeles, and ‘Ignite’ a burgundy-and-maroon-coated upper that tells about the Beard’s explosive play and ability to ignite his fellow Houston Rockets teammates. Adidas Harden LS ‘Olive’. 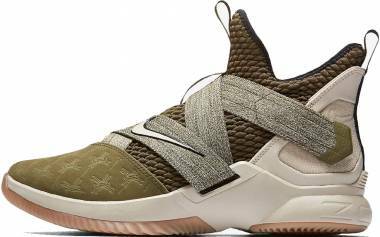 Even though it’s from the lifestyle tier of James Harden’s shoes, the basket-inspired LS sneaker can also be worn on-court; it was debuted on-court by Lonzo Ball during a game against the Cleveland Cavaliers in 2017. The shoe looks very similar to the Harden Vol. 1, except that the toe guard is removed. It also uses the same Primeknit material on the upper and is constructed as one-piece. The Olive colorway comes in a multicolor olive green and gray upper with a white Boost cushioning midsole. 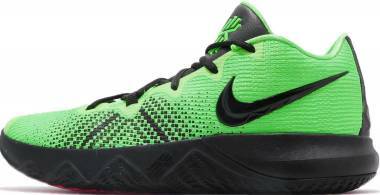 neon green basketball shoes attract attention with its flashy upper. R. Kelly wore these kicks off-court in a performance at the Rehab Pool Party event in Las Vegas. 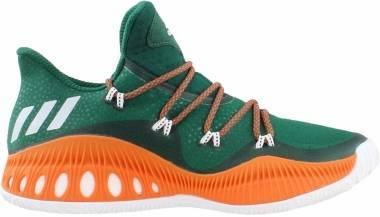 Adidas adiZero Rose 2.5 ‘St. Patrick’s Day’. Ever since 2006, the NBA has made it mandatory to observe the feast of Ireland’s patron St. Patrick as many in the industry are of Irish descent. Every March, several NBA teams dress in green versions of their uniform to commemorate the event. 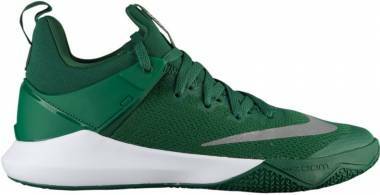 Some even wear green basketball shoes to match their uniforms. 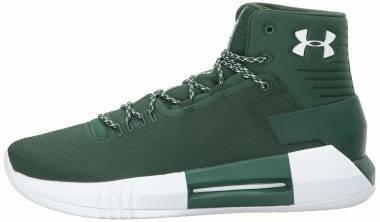 In 2012, the Chicago Bulls donned the Irish’s lucky color against the Philadelphia 76ers while their three-time All-Star NBA player wore the Adidas adiZero Rose 2.5 in the St. Patrick’s Day colorway. This model’s upper is fully coated in green with a white midsole. The white laces and white Three Stripes on the heel cup provide contrast. With designer Tinker Hatfield on the wheel, there has been a consistent show of military-themed colorways among the GOAT’s retros. 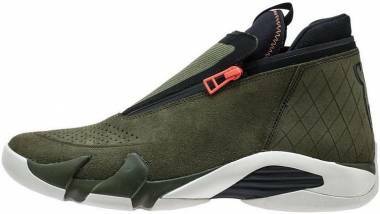 With the introduction of other Jordan signature athletes, a variety of green shades also made it to the brand’s palette. Jordan CP3.IX AE ‘Ghost Green’. A modification of Chris Paul's ninth signature sneaker with Air Jordan, the CP3.IX Artisan Edition or AE version tweaks some of the shoe's elements. The original’s synthetic leather detailing on the lacing area is removed while its foam-backed mesh upper is replaced with engineered mesh, which is considered more flexible, durable, and breathable than other mesh types. 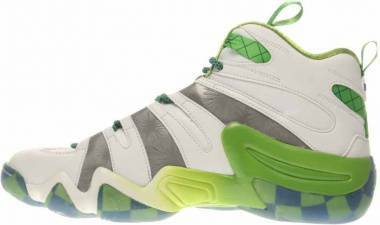 From the midsole down, the lime green basketball shoes retain the Phylon carrier and the articulated Zoom Air unit on the forefoot. It might take a while to get used to the protruding unit, but the cushioning setup actually helps the toe dip forward and assists with the foot’s initial push. 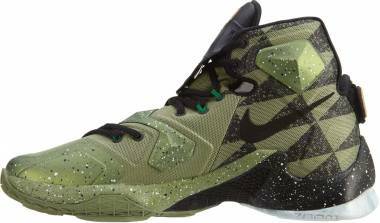 The Ghost Green colorway is actually lime green with hints of orange on the laces and the midsole. 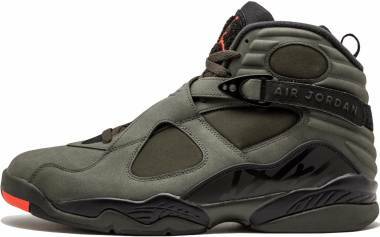 Air Jordan 8 Retro ‘Take Flight’. 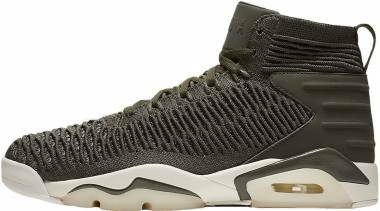 Outfitted in a sequoia green upper, the eighth installment of the Air Jordan basketball shoe was the first Jordan sneaker to not feature a Nike Swoosh. The year was 1993 and the shoe’s designer Tinker Hatfield released several other Nike shoes like the Nike Air Raid and the Nike Air Unlimited that had crisscross straps that ran across the midfoot. The Air Jordan 8, however, featured an abstract graphic on its midsole and a chenille Jumpman logo on the tongue, making the shoe stand out from others. In the same year, the Chicago Bulls won their third consecutive NBA Championship trophy while Michael Jordan also received his third consecutive Finals MVP title. Air Jordan 6 ‘Champagne’. Re-released in 2014 as part of a pack called "Champagne and Cigars", the Air Jordan 6 comes in two colorways that commemorate MJ's post-game locker room celebrations with his teammates. A photo of Michael Jordan armed with a bottle of champagne and a cigar in his mouth was taken after the 1998 NBA Championship Finals, and it is the basis of this colorway. It is fitting to use the sixth Air Jordan model for the celebratory colorway as it was the shoe that MJ wore during the first Chicago Bulls NBA Championship Finals win in 1991. 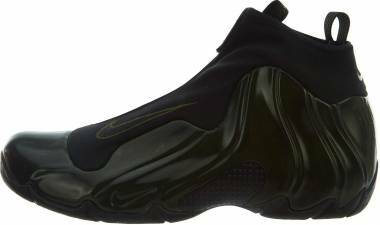 The Champagne basketball sneaker has shiny green leather upper that is reminiscent of the luxurious green bottle. Icy blue translucent pull-tabs and outsole point to the drink’s bubbly fizz. To top it all off, the shoe is peppered with gold detailing and accessorized with a championship ring lace lock. 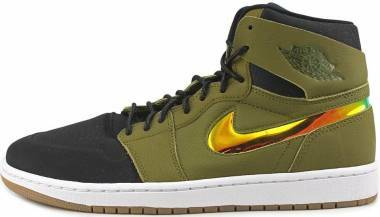 Air Jordan 1 Retro High ‘Russell Westbrook’. If there is one shoe model that embodies the entire Air Jordan shoe line, it is the Air Jordan 1. It captivated and continues to captivate people of all ages as it endlessly reminds everyone of the story of the greatest player of all time. Today, it is the emblem of sneaker culture. What better way to honor a dynamic basketball player and equally fashion forward Russell Westbrook than to dedicate a special colorway of the Air Jordan 1 to him? The "Russell Westbrook" colorway was released on 2015. It comes in a dark teal and fiery red, and full-grain leather and nubuck combos. Westbrook's logo on the tongue is a nicely added touch. Nike is a brand that experiments with different colorways sometimes to a fault. 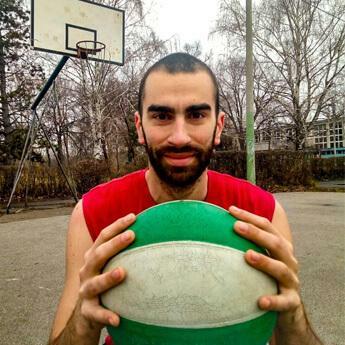 Because of this, the Swoosh offers a wide array of green Nike basketball shoes to choose from. Nike Kobe 8 System SS ‘Christmas’. Releasing special colorways on Christmas day is a tradition attributed to Kobe Bryant who has done it since the Association laxed its rules on shoe uniform regulations. Top athletes with signature shoes such as LeBron James and Kevin Durant slowly followed suit. The Kobe 8 System SS Christmas is one of the most unique Holiday releases. Not only does the shoe include a removable Lunarlon midsole insert (as with every Kobe 8 System), it also features a snake-like scale TPU overlay on the upper. This feature references the black mamba's shedding of skin, which is basically what the "SS" stands for. 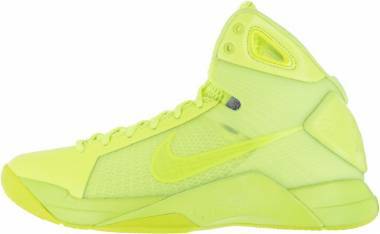 The basketball sneaker is accented with a gold Kobe logo, a neon green outsole, and a lime green Nike swoosh. Nike Hyperdunk 2014 ‘Gorge Green/Electric Green/White/Metallic Silver’. A team model shoe that was originally introduced by Kobe Bryant jumping over a running Aston Martin, the Nike Hyperdunk 2014 is the sixth installment of the basketball shoe line. The hooping sneaker featured a pressure-mapped traction pattern, targeted Lunarlon foam on the heel and forefoot for the midsole, and a Flywire integrated with Hyperfuse upper. Nike Air Force 180 ‘Cargo Khaki’. The Air Force 180 is a byproduct of the collaboration between the two great minds of Bruce Kilgore, the designer of the Air Force 1, and Tinker Hatfield, the designer of the Air Max 1. The basketball sneaker was one of the first Nike shoes that not only showcased the Air unit in the sides but also allowed it to make contact with the ground - thus it being "180". In its initial release in 1991, the shoe unfortunately didn't make much noise. It was only when Charles Barkley wore the shoe in the 1992 Olympics and other basketball games thereafter did the shoe catch attention. 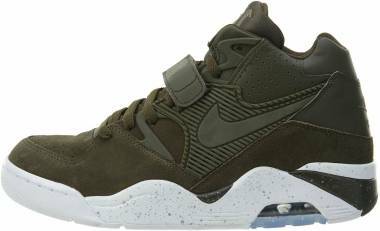 Retroed several times over, the Nike Air Force 180 has Cargo Khaki rendition that comes with a monochromatic olive upper that is composed of different materials such as suede and leather. It has a speckled white midsole. Nike Kobe 9 Elite ‘Victory’. Taking a break from its much known low-top siblings in Kobe Bryant’s line, the Kobe 9 Elite was a special one in that its collar height rises above the regular high-tops’, making it look like a boxing boot. Even with this, Kobe Bryant wants his high-top sneaker to feel like a low-top. This is achieved by using a soft yet sturdy Flyknit. Another customization is the fingerprint-like pressure map pattern on the outsole that helps the wearer stop on a dime when needed. Lastly, to add some personal touch, there are nine lines in the Achilles area to signify the NBA player's journey to get past his terrible Achilles injury. The Victory colorway commemorates Bryant’s rise to excellence with its black and volt green Flyknit upper that is topped off with a gold Nike Swoosh. Nike KD 9 ‘Birds of Paradise’. A month after the debut of Kevin Durant's ninth signature shoe, two colorways called "Unlimited" and "Birds of Paradise" were released to the public. The latter colorway takes inspiration from the fascinating feathered creature local to Southeast Asia. 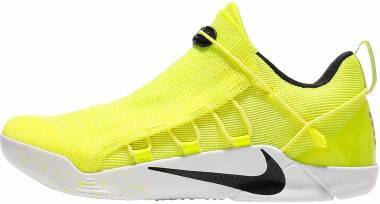 Dressed in a clear-jade, volt, and black; the Flyknit upper feels tailor-fit to each individual's feet and brings shoe comfort to another level. It is worth mentioning that the teal basketball shoes feature full-length, bottom-loaded Zoom Air units that can be seen through the sole. Nike Kobe A.D. NXT ‘Volt’. After the Black Mamba retired from the NBA, he continued to release basketball sneakers under his Kobe signature line. To mark the the next era of his life, Bryant's post-retirement shoes are aptly suffixed with A.D., or Anno Domini. The Mamba Mentality provided the NBA player drive to innovate and perfect his kicks. The Kobe A.D. NXT is the second iteration of his post-retirement line and features a unique-looking shrouded upper that is locked down with a no-tie toggle lacing system on the sides. The shoe was first launched in the Volt colorway. Nike Kobe 11 Elite Low ‘All Star/Northern Lights’. Speaking of Kobe Bryant’s retirement, the Kobe 11 was the last shoe to be released before he officially bid farewell to his beloved game of basketball. The eleventh shoe featured an engineered mesh for its upper but later got upgraded to a TPU-infused Flyknit material in the Elite version. The All Star colorway, also known as the Northern Lights, was worn by Bryant in the All-Star Game of 2016. The luminous mint green basketball shoes also has hits of black on the upper. 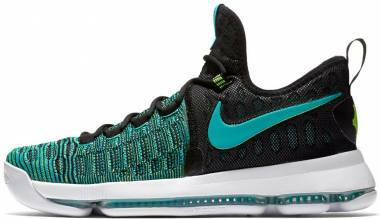 Nike Zoom KDX ‘City Edition 2/Hyper Turquoise’. A year after Kevin Durant joined the Gold State Warriors, Nike released the KD 10, also called the KDX, in two colorways. The "Anniversary" colorway commemorates Nike's 10 years with All-Star player KD. It came with a baby blue upper and a colorful Nike Swoosh that stand for the teams KD has played for in the past. 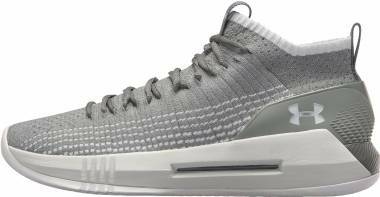 The "Still KD" colorway, on the other hand, is Durant's answer to fans who questioned his decision to join the GSW, an NBA powerhouse. Two years later, Nike revisits this shoe and releases the City Edition 2 colorway, also known as the Hyper Turquoise. The upper is coated in bright turquoise with blue and yellow hits on the bottom sole and Nike Swoosh. Chinese characters embellish the shoe to pay homage to the Chinese culture largely present in the Bay Area. Never to be underestimated, Under Armour has consistently released basketball shoes that deliver solid performances on-court. Unfortunately, their colorways have not branched out as much as the other footwear brands. Under Armour Curry 3 ‘Reign Water’. The third release from Stephen Curry’s signature line has a silhouette is inspired by the form of fighter jets. Its upper combines two different materials: Threadborne on the lateral side for lightweight support and strength and Anafoam on the medial side for a customized fit. Fuse is overlaid on high-wear sports to add durability to the shoe. 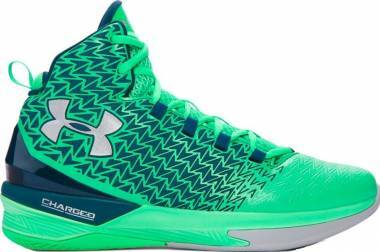 Its midsole features Under Armour's Charged cushioning for a comfortable and responsive ride, making the shoe fit for guards. The Reign Water colorway comes with a Neptune Green upper with metallic gold accents. This model is influenced by the nature of Steph Curry's play, which is described as fluid, free-flowing, and dynamic. 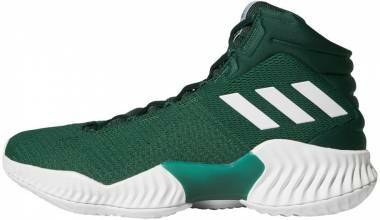 Under Armour Drive 4 ‘Green/Green/White’. Although still considered part of the Clutch Fit Drive line, the UA Drive 4 no longer uses the Clutch Fit material. Instead, the basketball shoe utilizes a two-layer upper with a soft mesh exterior and neoprene interior. With Micro G in the midsole and traditional herringbone on the outsole, this shoe performs solidly in all aspects. The shoe is available in a monochromatic dark green upper that sits on top of a white midsole. Green: What Does It Stand for? The word "green" evolved from the Old English word "grene", which originates from the Germanic word "grün" and the Dutch word "groen". These words share the same root with the words "grass" or "to grow". It is said to be the "most common color in the natural world" that if one were to wake up in a place devoid of concrete structures, green would most probably be the dominant hue. And if you were to look at Earth from a distance through space, green would be second to blue. This is largely because plants cover most of the Earth’s non-water surface. And why are plants green, you ask? Plants are green due to a chemical present in its cells called chlorophyll. This chemical helps plants convert energy from the sun into food. It absorbs blue and red light but reflects green, hence the color that we see. Given its etymology, it is clear that green has always been associated with life and nature. When a plant is still green or has green leaves, we consider it alive and growing. These associations have given the color green a positive and hopeful meaning. In parallel, green is a restful color as it comes from a combination of the calming blue and the optimistic yellow. The concepts associated with the color green can go both ways. On the more positive side, green can mean the environment, rebirth, nature, serenity, calmness, growth, and freshness. However, on the negative side, it can also mean greed or avarice, jealousy, and sickness. The term “green-eyed-monster” that now refers to jealousy is said to originate from Shakespeare’s play Othello; mainstream culture was quick to pick the term up has since linked the two concepts together. Green is also associated with money or sometimes, the military. The color is associated with the dollar bill as the American currency is iconically printed in green ink due to the pigment’s abundance and durability. The Armed Forces, on the other hand, are well known to be clothed in a camouflaged green uniform so that they blend well with the natural environment, hiding them from their enemies. Milwaukee Bucks. Upon the creation of the basketball team in the state of Wisconsin in 1968, locals gave suggestions on what the new basketball team’s name would be. Majority of the suggestions were animal names. After some time, the management soon decided on “Milwaukee Bucks”. The hoofed animal is one of the state’s official symbols and is also widely abundant in the Cream City. The green hue represents the place’s dense rainforests and rich agriculture. Utah Jazz. Initially founded in New Orleans, which is widely regarded as the the Jazz capital of the world, it wasn’t difficult to find a name for the 18th member of the NBA. The state is also known for their Mardi Gras tradition, which is filled with festive colors such as purple, gold, and green. In 1978, five years after its birth, the team’s owners decided to uproot the team from New Orleans and bring them to the Salt Lake City of Utah. Although Jazz is no longer a thing in Utah, management never felt the need to drop the name. How to clean basketball shoes? Green is such a versatile color; it can be applied to all types of material. Your cleaning method will depend on the type of material used on the shoe’s upper. As much as possible, you would want a gentle and non-invasive way of getting stains and dirt off the shoe. For shoe uppers with non-textured and slippery finishes such as synthetics or fuse, dirt or grime can be cleaned by wiping off with a damp cloth. For shoe uppers with textured yet non-absorbent materials such as tumbled leather, it is best to use a small soft-bristled toothbrush dipped in a warm soapy solution. Once dirt is lodged off, wipe with a damp cloth. Using stiff brushes can abrade absorbent materials such as canvas, mesh, or knits. If the upper is made of such materials, it is best to use soft-bristled brushes or a suede brush. Instead of dipping the brush, dip the shoe instead in order to soften the dirt or stain; and then buff with the soft brush. One the stain is removed, air-dry the shoe. 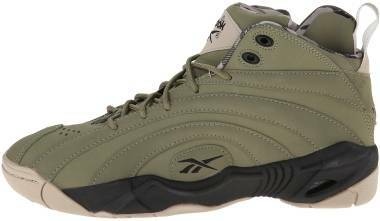 What should my overall styling be if I want to wear light or dark green basketball shoes? 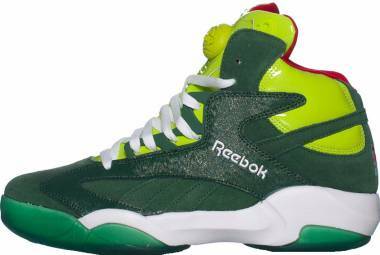 Green basketball shoes are quite flashy so they tend to attract attention. This means that your footwear is already the statement piece in your ensemble. It is best not to crowd it with other loud colors. Green usually goes well with neutral shades such as beige, tan, and white. Jeans or blue pants also look great when paired with the shoe. 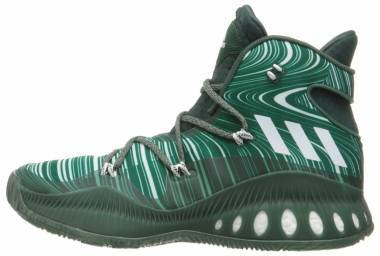 How do I get green basketball shoes for sale? Along with blue, red, and maroon, green is the fourth most common team color in college basketball. This means that green basketball shoes for sale will not be too hard to come by, as the colorway will most probably be included in initial releases. As much as possible, steer clear from new shoe releases as these fresh sneakers will most likely be at their peak price-wise. Right before the new model of a shoe line is introduced into the market, the preceding model be at its cheapest. Take advantage of this time.